The board is designed to interface with the universal body control module system evaluation tool. The set contains adapter boards for TLE 7240SL, TLE 7243SL and TLE 7244SL. 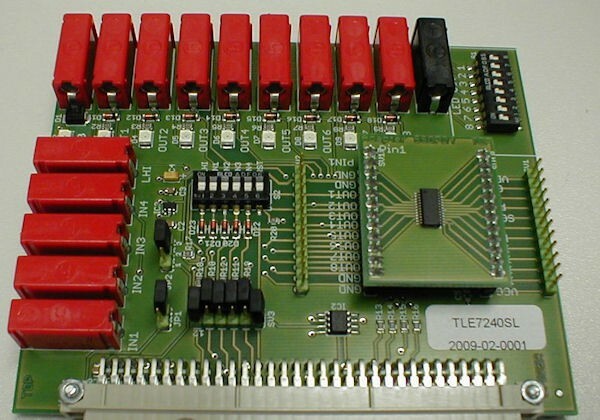 Related links to "DEMOBOARD TLE724XSL"
Customer evaluation for "DEMOBOARD TLE724XSL"